When will be The Barstool Rundown: Live from Houston next episode air date? Is The Barstool Rundown: Live from Houston renewed or cancelled? Where to countdown The Barstool Rundown: Live from Houston air dates? Is The Barstool Rundown: Live from Houston worth watching? Sports aficionados Dave Portnoy, Kevin Clancy and Dan Katz (A.K.A. El Pres, Big Cat and KFC) give their real-time takes on all things football in the week leading up to the big game in Houston. Viva la Stool. The hosts report live from a sports bar in Houston, covering all things football leading up to the big game on Sunday and bringing their devout fans to the center of the action in Houston. The Barstool Rundown: Live from Houston next episode air date provides TVMaze for you. 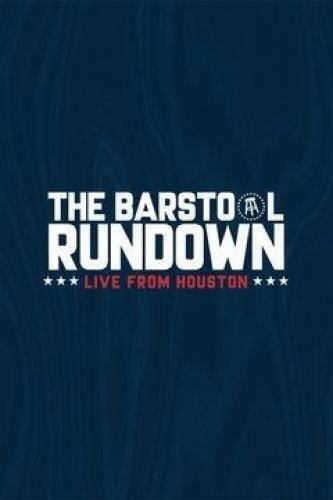 EpisoDate.com is your TV show guide to Countdown The Barstool Rundown: Live from Houston Episode Air Dates and to stay in touch with The Barstool Rundown: Live from Houston next episode Air Date and your others favorite TV Shows. Add the shows you like to a "Watchlist" and let the site take it from there.